Rather the typical rehash rundown and sales pitch of every single condo and apartment building in Bangkok which has been done to death and is quite useless, our Bangkok condo spotlight will shed some light on a select few of Bangkok’s best expat condos for rent and sale. We will not only point out the common good qualities of each building but we will also give you information about the negative aspects of each building, things that average sales agents would withhold from you. Most foreigners who move to Bangkok want to have access to all the Western quality and amenities that allow them to live as comfortably as home. Bangkok expat condos offer a good location, ample size and high quality which are a quality home for expats and their families giving them maximum comfort. 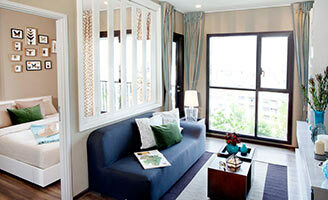 We will spotlight only what we consider the best expat condos in prime Central Bangkok. We consider expat condos those buildings which offer a variety of units showcasing several types, sizes and styles. Since the vast majority of expats live in close proximity to the BTS Skytrain and MRT we will also only cover buildings which exist in the prime areas of Central Bangkok lying within Pathum Wan, Sathorn/Silom and Sukhumvit areas. Due to the incredibly large supply and very small demand from expats, we will not spotlight condominium and apartment buildings which consist solely or mostly of small units. As a boutique real estate agency catering to English speaking expats we have determined that the bulk of expats living in Bangkok are A. not interested in tiny living spaces and B. our small agency is not capable of competing with the large corporations which manage thousands of the small condos which expats often regard as ‘beehive’ like concrete boxes.